WASHINGTON, D.C. — Almost three years after NASA astronaut Scott Kelly returned from spending nearly a year in orbit, researchers are still poring over the data collected during an unprecedented study comparing his health with that of his earthbound twin brother. They say the comparison hasn’t raised any red flags about long-term spaceflight on the International Space Station. “On the whole, it’s encouraging,” Craig Kundrot, director of NASA’s Space Life and Physical Sciences Research and Applications Division, said here today at the annual meeting of the American Association for the Advancement of Science. But the studies have raised questions about the potential impact of exposure to weightlessness and space radiation during longer missions to the moon and Mars. “It’s mostly green flags, and maybe a handful of things that are roughly like yellow flags, things just to keep an eye on,” said Christopher Mason, a researcher at Weill Cornell Medicine who serves as the principal investigator for the Twins Study. 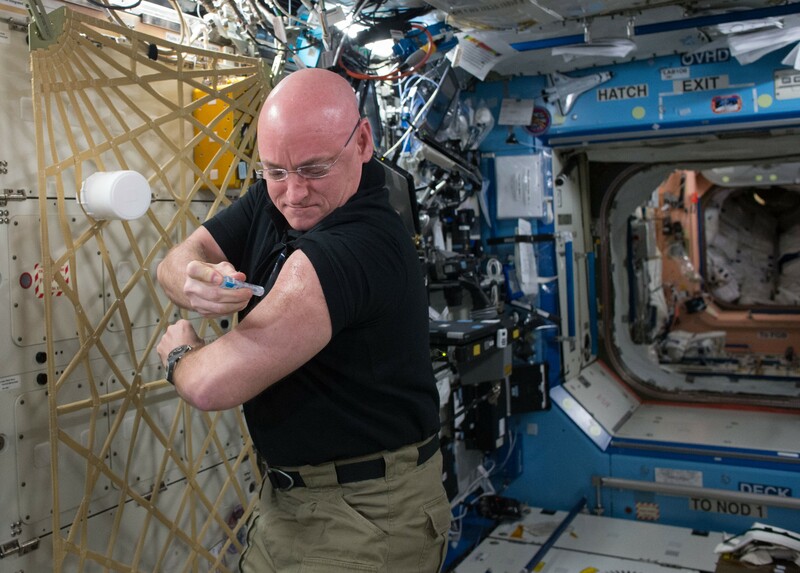 This entry was posted in GeekWire and tagged AAAS, Health, Life in Space, Scott Kelly, Space, Year in Space. Bookmark the permalink.